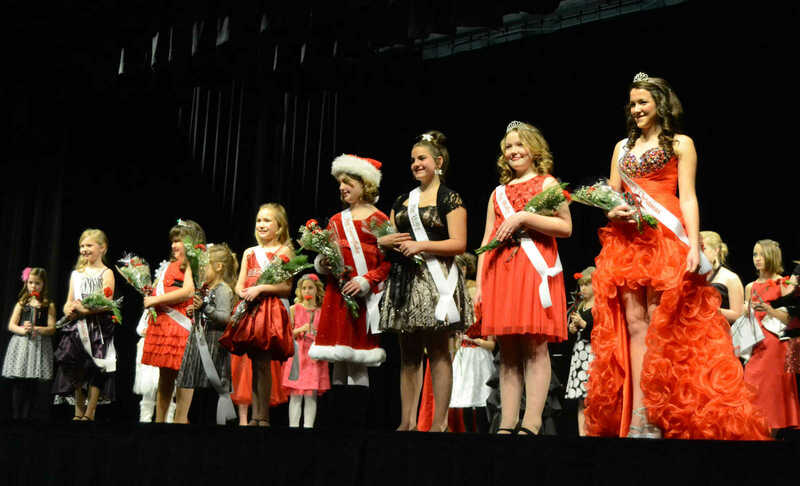 From left, Miss Congeniality Londin Edds, Miss Candy Cane Sophie Kirshchenmann, Miss Candy Cane runner up Monica Leon, Miss Snowflake runner up Bridget Naas, Miss Snowflake Kiersten Grier, Miss Holly runner up Makalia McDowell, Miss Holly Lindy Smith and Miss Merry Christmas Riley Gordon pose at the Performing Arts Center on Saturday. 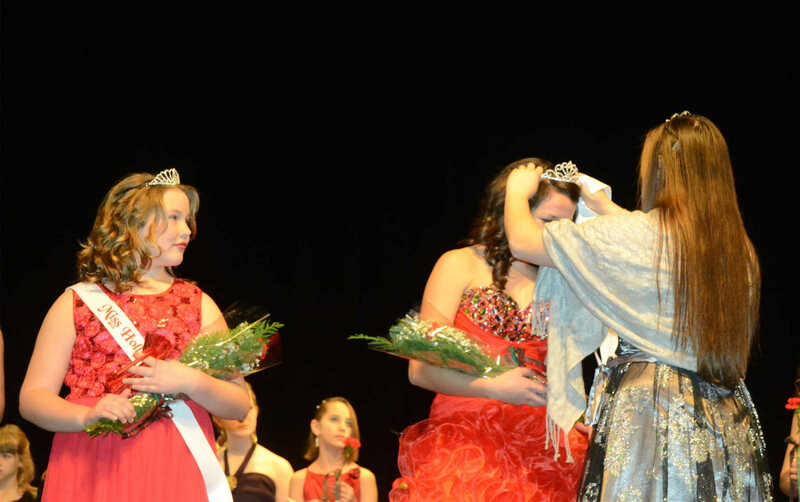 The 2011 Miss Holly Hannah Bond crowns Riley Gordon Miss Merry Christmas while Miss Holly Lindy Smith watches at the Performing Arts Center on Saturday. 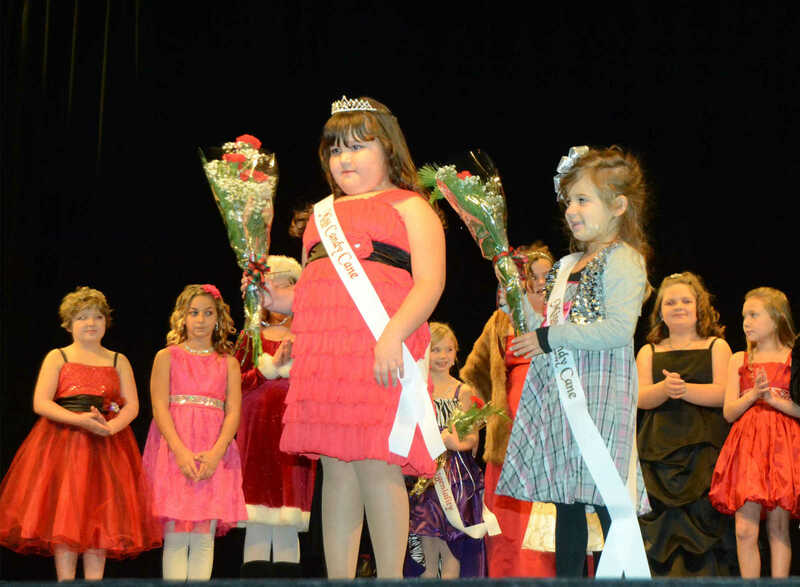 The 2011 Miss Holly Hannah Bond awards Lindy Smith Miss Holly at the Performing Arts Center on Saturday. 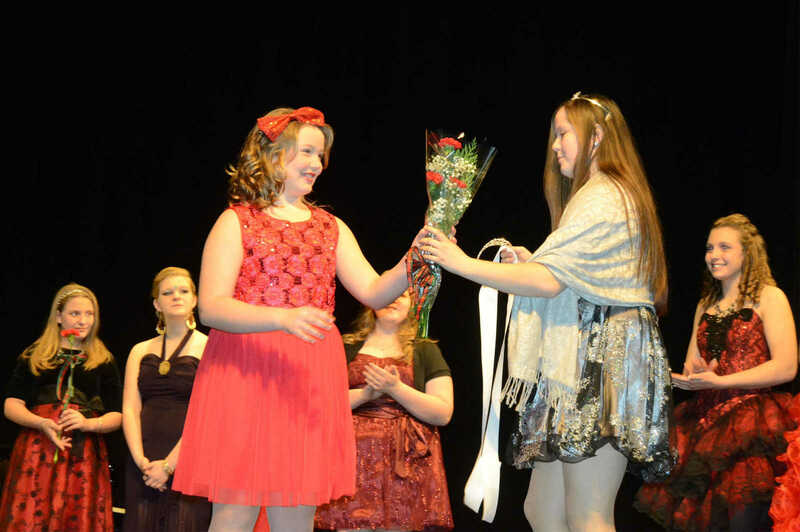 The 2011 Miss Holly Hannah Bond awards Kiersten Grier Miss Snowflake at the Performing Arts Center on Saturday. 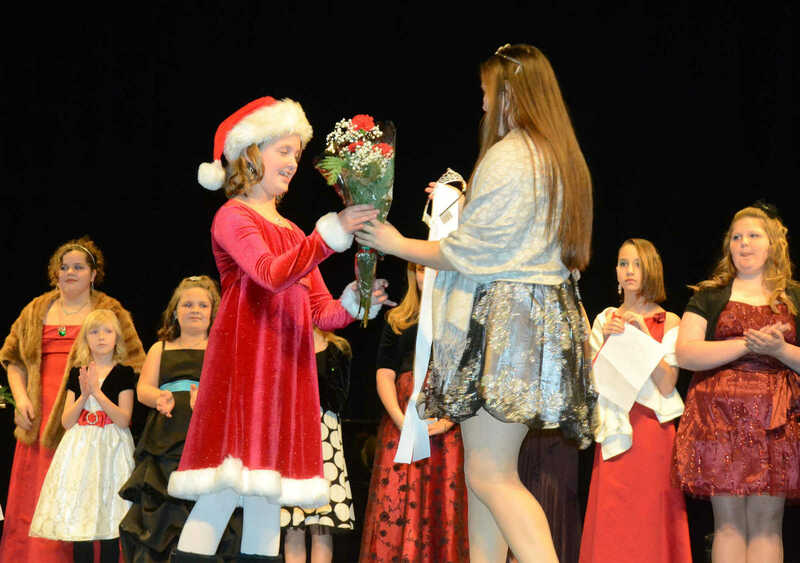 Miss Candy Cane Sophie Kirschenmann, left, and runner up Monica Leon pose on the stage at the Performing Arts Center on Saturday.